On Tuesday 18th August 2015, 15 bright eyed and bushy tailed British Air Cadets from 1955 City of Wells Sqn set of on an adventure of a life time to Ontario Canada, flying into Toronto international Airport. We arrived at rush hour and our convoy wound its way around various short cuts until we hit the main Oshawa Highway. The temperature and humidity was high, we arrived during an unexpected heat wave! After about an hour’s drive we arrived at Camp Samac, this was to be our base for the next two days whilst we took part in joint training and team building with our host Cadets from 151 Chadburn Sqn RCAC. Interacting with the cadets from 151 Sqn was an important part of the expedition as we needed to use the experience and local knowledge of our Canadian friends to succeed in the challenges ahead. On day three we woke to the sound of torrential rain; a summer storm was upon us and wet wet wet was the order of the day. Bedraggled we set off on the next stage of our adventure to a large lake area two hours’ drive from Samac. 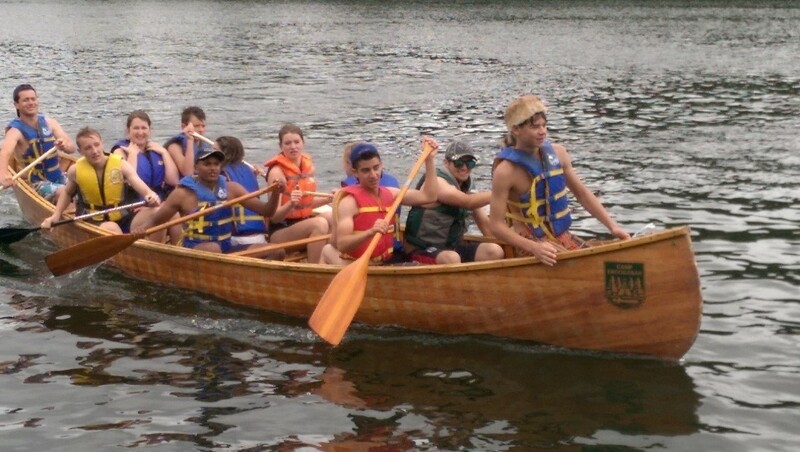 This was our first training stage; we needed to be trained in the art of paddling the Canadian canoe so we could complete the expedition to Rock Island, as many in our party had not had this experience before. After an intensive day of paddle training including the accomplishment of the elusive J stroke our party was sufficiently competent to attempt the expedition across huge expanse of open water to Rock Island. By now we have formed an ever strengthening bond with our Canadian cousins and apart from the accent it’s not easy to tell us apart, after an evening of storytelling around a large campfire and the consumption of too much marshmallow and a good night’s sleep it was time to make the journey across the lake to Rock Island. 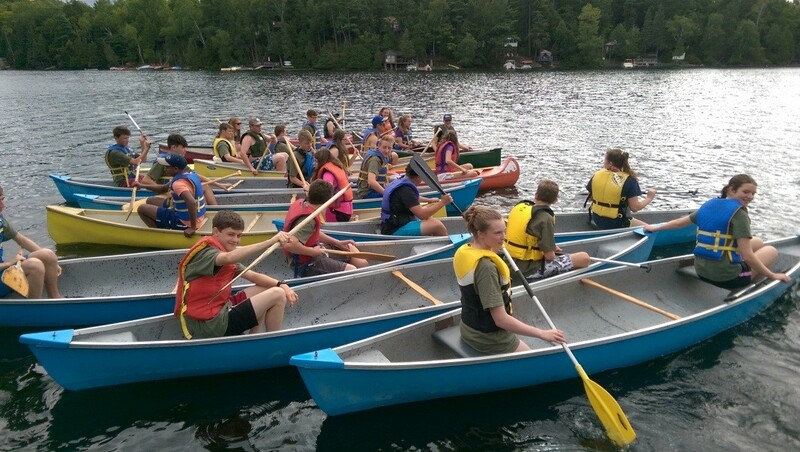 The wind had picked up and the water was appreciably more choppy than during our training, making progress much more challenging that we had expected, but with the help and encouragement from our Canadian cadets we eventually made it to our first resting point. On arriving at Rock Island we pulled the Canoes out from the water and rested for some time before gathering for a group photo. At this point another summer storm was brewing so we made a hasty retreat back into the canoes and headed back to our base camp. Fortunately with the wind on our backs the journey back was much quicker and less strenuous. After a good evening meal we were off to our bunks as we had to be up early the next day and ready to move to our next adventure based at Connaught National Army Cadet Summer Training Centre part of the Canadian Forces Training Facilities where their top shooters are trained. We had a rest day here and visited the Canadian Capital, Parliament buildings, The Canadian Mint and the National War Museum. After a good night’s sleep in the Connaught tent village we drove to the Ganaraska forest for an intensive bush craft and bush navigation exercise. 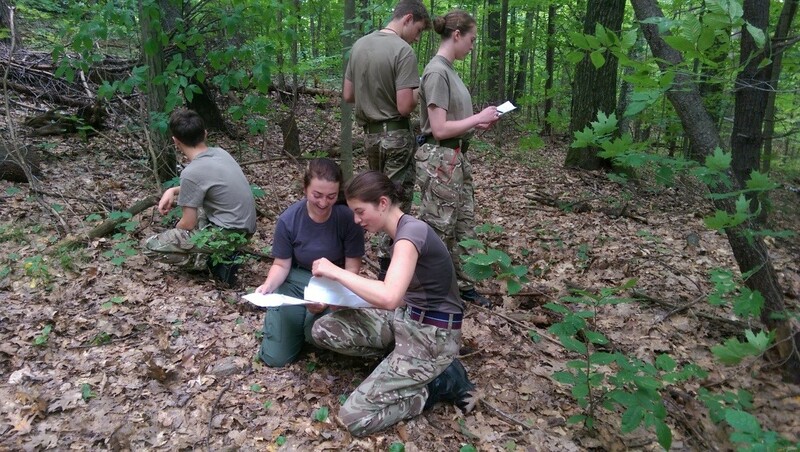 Training started immediately with a joint navigational training exercise where cadets were taken out into the forest with trained staff and taught how to navigate through the dense bush back to the base camp, learning how to identify dangerous plants like poison ivy on the way. The navigation exercise was amazing, the British and Canadian cadets were mixed together into 8 teams and taken to the exercise start location, and all teams were instructed to wait at the start point until given clearance from the safety teams to start navigating back to camp. Teams also had to keep quiet as there were intersection patrols looking for our groups if they found you and you couldn’t pinpoint exactly where you were on the map your team was taken back to a known location and made to start again. At this point we are at day 8 of our trip and it has become increasingly noticeable how much more confident and outgoing our cadets have become, strong bonds of friendship between the two groups and a growing trust in each other’s abilities has allowed the team leaders to extend the activities, as their trust in our guys’ ability has grown. We were now heading back to our original base Camp Samac in Oshawa, our base for the rest of our time in Canada. We arrived at 151 Sqn HQ in Oshawa for a meal, a very welcome departure from the ration packs we had been surviving on in the forest camp. The next and very exciting leg of our expedition was to fly and navigate around a circular route towards Ottawa and over Lake Ontario. The light aircraft took four persons so one cadet got to pilot the plane and the other two navigated using maps and ground visual recognition, a brilliant highlight of the trip. The last day arrived, our flight was late afternoon so our hosts had arranged for us to go into Toronto early and to visit both the CN Tower and an amazing aquarium before taking us to the airport. And then the adventure was over with only our amazing memories and photos to remind us of the fantastic 11 days in Canada. 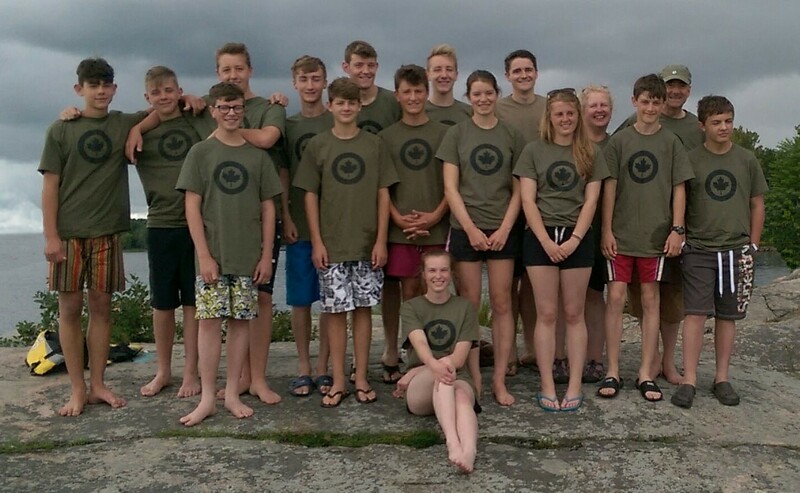 Thanks go to the Ulysses Trust and the RAF Charitable Trust for making this expedition possible. SNCO’s reconnoitre the navigational exercise area, with the Canadian experts pointing out the indigenous and to be avoided poison ivy, in the Ganaraska forest. 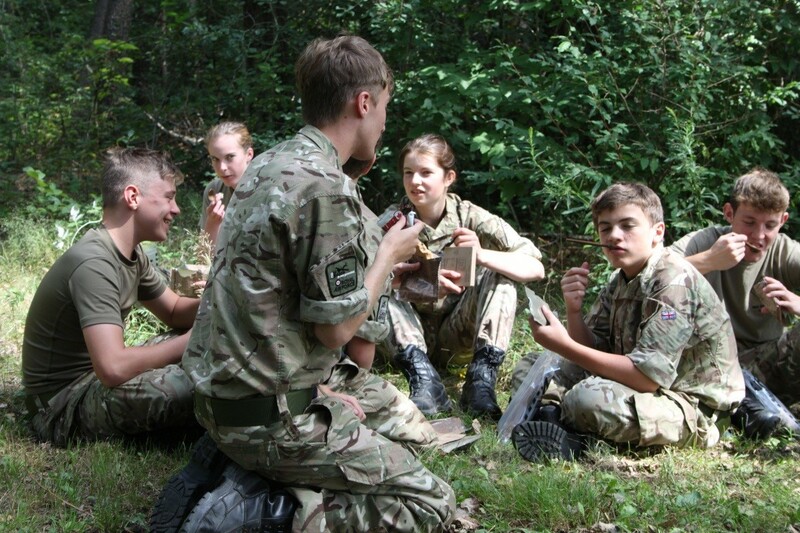 Cadets from 1955 Sqn enjoying the Canadian ration pack lunch in the Ganaraska forest.